I am doing a HUGE giveaway with some awesome people! Please check it out. 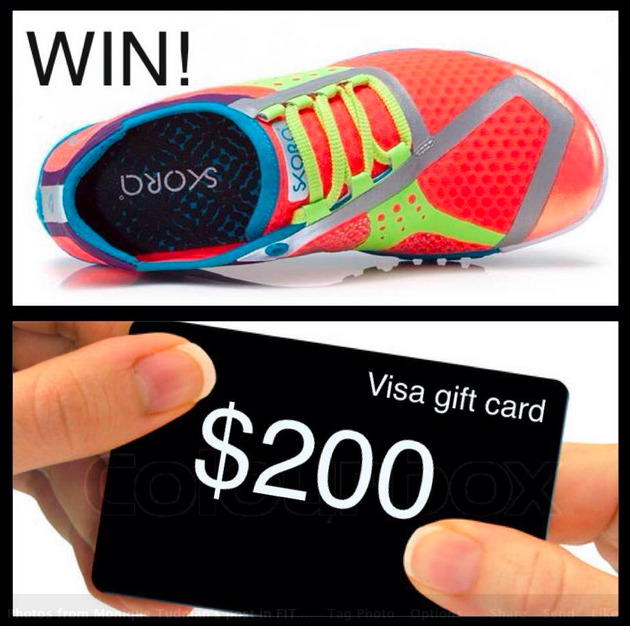 We are giving away a $200 visa gift card and a pair of Skora running shoes! That would be so nice to win! Twitter this week . . . I missed some GREAT stuff from Polar this week!! Now this I WANT TO WIN!! Thanks Mindy! My feet have been hurting so bad lately in my crappy Nike's....would LOVE some decent new shoes so I can start running!!! This would be awesome to win!!!!! !